← Mandevillas and Dahlias – A Boston City Garden Finalist? 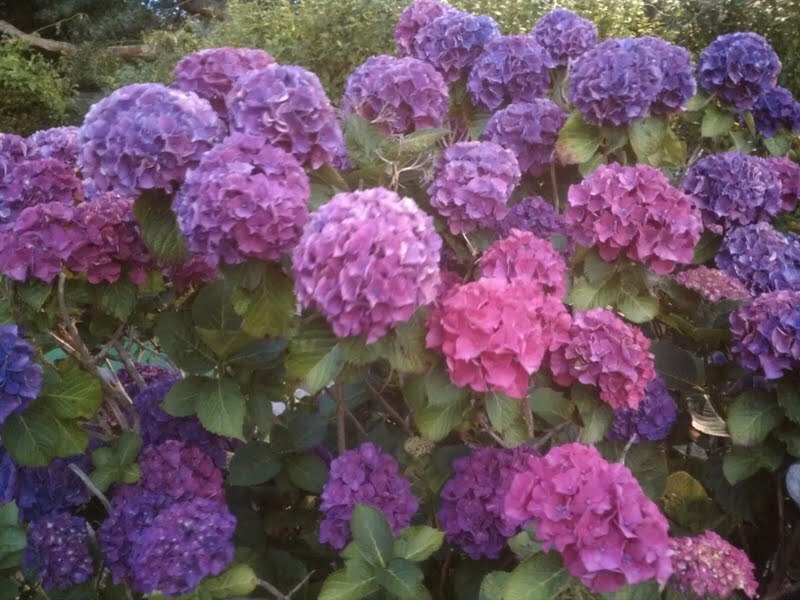 Every summer I can’t wait to see the hydrangeas in bloom on Cape Cod. Just love those big globes of vibrant, showy, colorful petals. For me, there are no better summer blooms. I remain intrigued by the fact that the colors are determined by the acidity of the soil. Pink occurs at a soil pH of 6.5 to 7.0., while blue occurs at pH 5.0 to 5.5. Amazing! 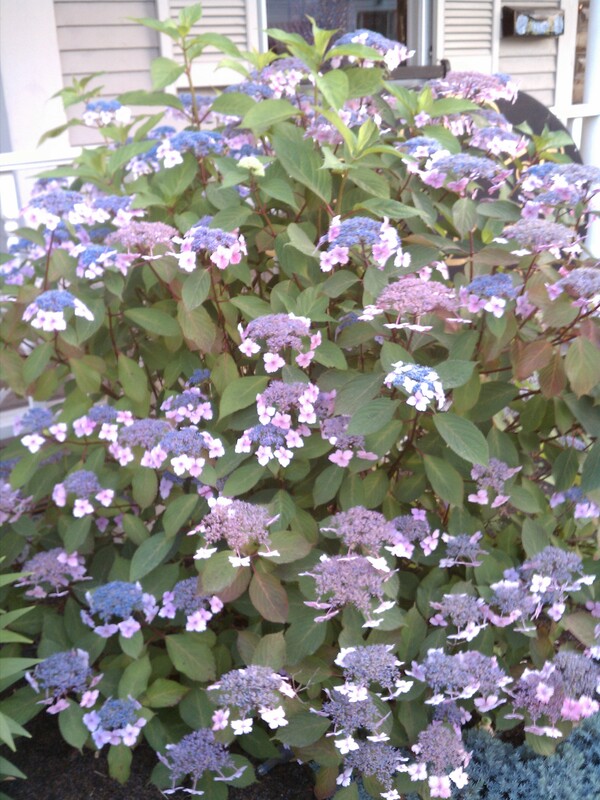 Occasionally a hydrangea bush will sport both colors. Fabulous! Found one here in Harwichport. Check out the photo below. I totally agree. They thrive in sun and partial shade. The fact sheet gives great advice about planting, maintaining and using the flowers in dried arrangements. I’ll be posting more photos in the next few days on this site’s Garden Photo tab. 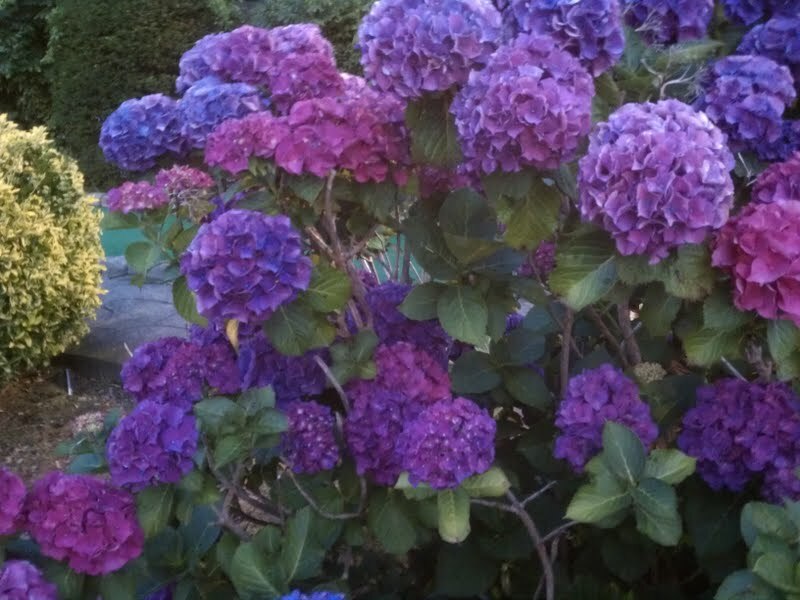 Feel free to share your hydrangea photos. Click here for the link to the URI fact sheet! 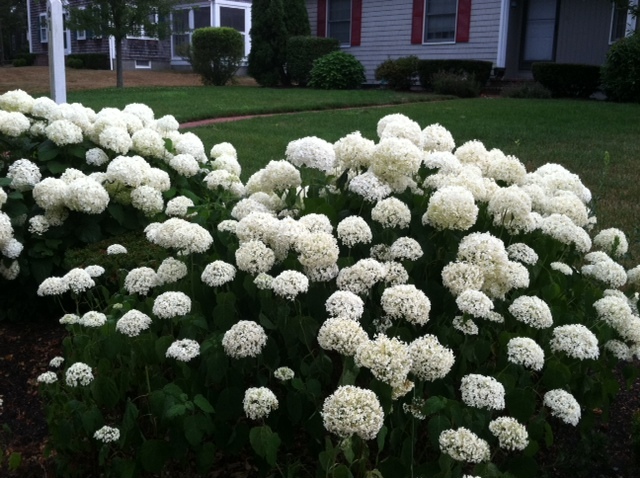 This entry was posted in Cape Cod, Flowers and Plants, Hydrangeas, Local Beauty, Places to Visit and tagged Cape Cod, Hydrangeas. Bookmark the permalink. Wow! The pictures are stunning. Thank you for caring about flowers. A pop of color a beatiful aroma and wonderful summer day. We all feel blessed.